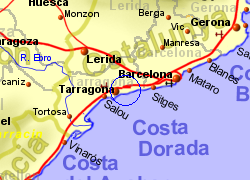 The course at Club de Golf Costa Dorada was designed by José Gancedo, Vidaor, Sardá and Saenger , and built in 1983, 3 Km inland from the Costa Dorada. 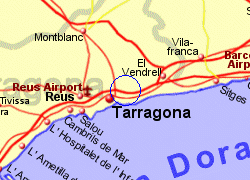 Golf Costa Dorada was the first golf course to be built in Tarragona province and sits in a valley with olive and pine trees. 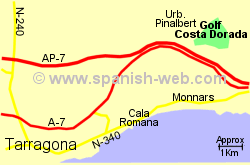 The course is par 72 with a length of 5,237 to 6,223m. 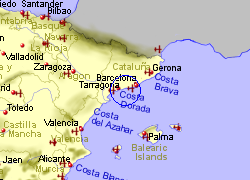 Map of the Golf Costa Dorada area.